Connect with up to four cameras for high- performance machine vision. Display manufacturers face unprecedented challenges: How do you meet the high accuracy demands of the latest touch panel and FPD technologies? How quickly can you integrate your vision solution, from prototype to production? And how easily can you modify it for product change-overs? Cognex offers multi-camera, vision-guided alignment solutions in several formats designed to meet these challenges. Choose between a configurable template and an easy-to-use, compact sensor to meet your specific application requirements. Both HDR and HDR+ reduce over- and under-exposure, providing greater depth-of-field than with conventional imaging sensors. Locate fiducials and edges with industry-leading PatMax and LineMax vision technology. Compensate for the smallest optical distortions and non-linear motion system errors. Perform field calibration with automated routines that don’t require vision experts. Create alignment recipes by graphical configuration eliminating time-consuming trial-and-error procedures. Reduce downtime with built-in diagnostic testing that pin points sources of error during alignment. Select from a broad range of cameras, image acquisition, and processing configuration for optimal price and performance. Adapt to unique designs with customizable application software. Interface with most stages and robots with plug-ins. The AS200 Alignment Sensor is designed specifically to provide vision-guided alignment for motion stage or robot control. The fully self-contained sensor with built-in modular lensing and lighting makes installation simple and quick. Sensor configuration is performed by a simple operator interface without the need for vision programming. Automated motion-vision calibration launches with a click of a button. 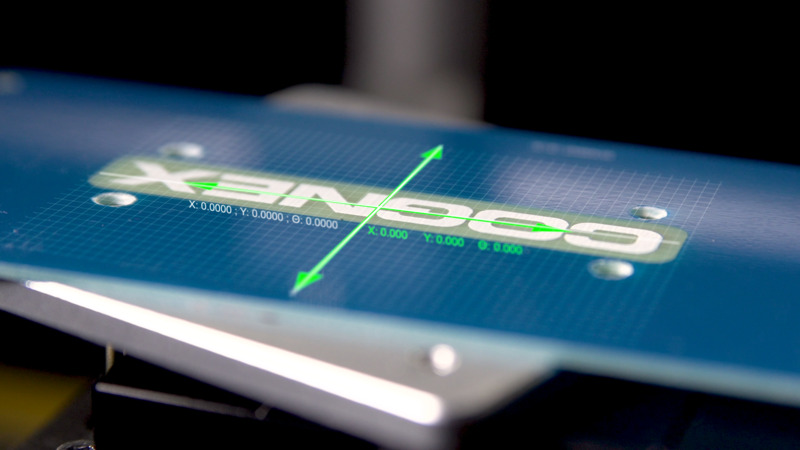 Offering robust performance, compact design, and simple deployment, the AS200 sensor is the preferred choice for vision-guided alignment for machines and equipment used in electronics assembly.